You've dreamed about your perfect vacation for years! We can help make your dream vacation exactly the way you've always wanted it to be. Anne is here to help with everything from beginning to end - trip planning, accommodations, airfare, excursions, local tour guides, restaurant reservations, private transfers and more. We get to know you and your style of traveling to create your vacation from scratch; with just the right amount of excursions and unique experiences. We will design a day-by-day itinerary for you completely customized to your travel style, likes and budget. Anne will work with you one-on-one to help you understand costs, locations, logistics and the most efficient and enjoyable way too travel when visiting Italy, France and Croatia. Memorable occasions like milestone birthdays, family reunions and destination weddings can be the special opportunity to plan the ultimate European vacation. Special occasions should be enjoyable where happy memories are made and can be celebrated together. 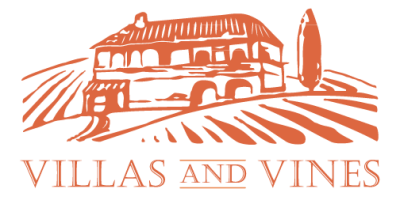 At Villas-and-Vines we understand this and take great pride in presenting the finest villas, along with a list of services, tours and activities as an inspiration and opportunity to plan your family vacation in advance. Let us handle the stress of designing your custom vacation tour package, so all you have to do is pack your bags and enjoy your vacation.